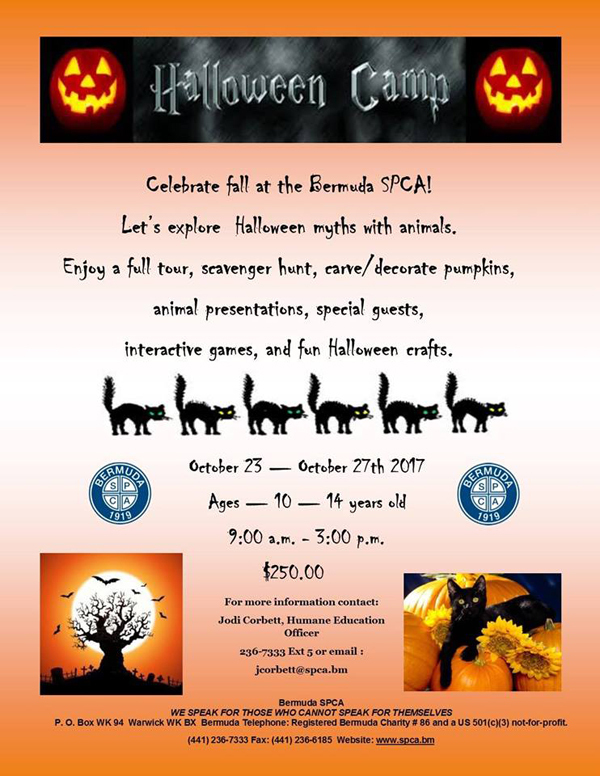 The Bermuda SPCA is getting set to host its Halloween Camp from October 23 to October 27, with a series of activities planned for children aged 10 to 14. Activities at the camp will include exploring myths with animals, a full tour, scavenger hunt, pumpkin carving, animal presentations, special guests, interactive games, and fun Halloween crafts. The camp will take place from 9.00am through 3.00pm each day, with the cost of registration at $250. For more information, contact Jodi Corbett, Humane Education Officer, on 236-7333 [extension 5] or email jcorbett@spca.bm.